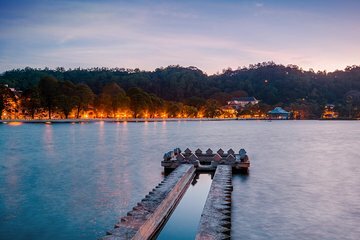 Enjoy a full-day tour of picturesque Kandy—Sri Lanka’s second-largest city—on this guided excursion from Dambulla. Visit the Temple of the Tooth, one of the world’s holiest Buddhist sites, and stroll through rare plant specimens in the Royal Botanical Gardens in Peradeniya. Tours also include an exclusive meet-and-greet with local artisans, with the chance to take home souvenirs.